First Minister repeats call for second referendum on EU membership. There is a "real and growing risk" that the UK will leave the EU with no deal in less than two months' time, Nicola Sturgeon has said. Scotland's First Minister said the UK Government should acknowledge that the country is "not remotely prepared" to leave the EU in 53 days' time. Giving a speech at Georgetown University in the USA, she again called for a second Brexit referendum. She also addressed Scottish independence, arguing that the "confusion and uncertainty of Brexit" made it clear that Scotland's national interests are not being served by a Westminster system which too often treats Scotland as an "afterthought". Addressing an audience at Georgetown's Institute for Women, Peace and Security, Ms Sturgeon said that the UK Government is trying to renegotiate the EU Withdrawal agreement "with the clock ticking" and despite the EU saying it will not accept such a renegotiation. 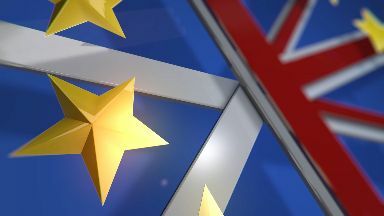 The First Minister suggested that the UK Government could think again on plans to leave the single market and customs union but added that a "better option is to hold a further referendum on EU membership". She also said that Brexit is also relevant to the debate on Scottish independence. "I as First Minister have said I will outline my thoughts on the timing of another independence referendum in the next few weeks - once the terms of Brexit have become clearer," she said. "But, amid the confusion and uncertainty of Brexit, one thing I think is clearer than ever. Scotland's national interests are not being served by a Westminster system which too often treats Scotland as an afterthought, or too often sees our interests as not being material. "In my view, they can only properly be served by becoming an independent country. But an independent country that then seeks to play its part in an interconnected world.